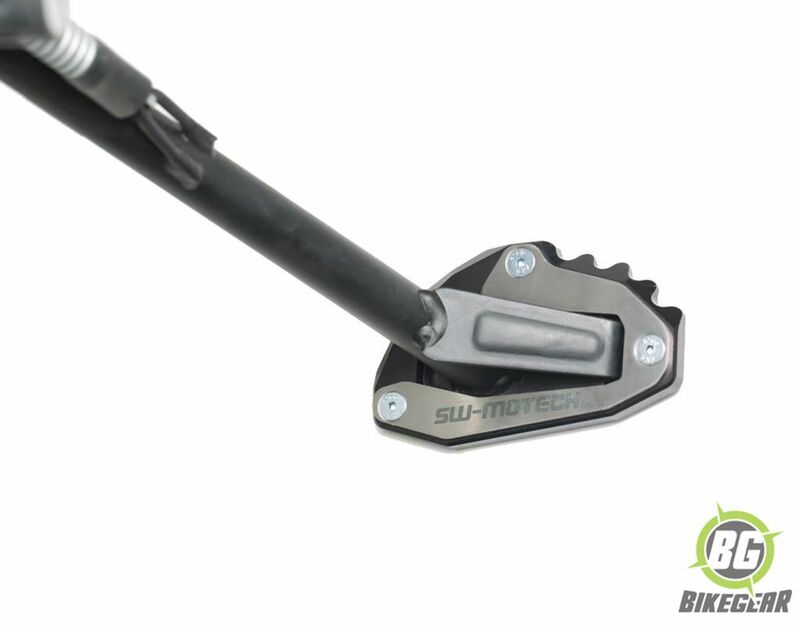 SW-MOTECH Sidestand Foot Enlarger Africa Twin increases the surface area of the factory kickstand on the Honda Africa Twin CRF1000L. 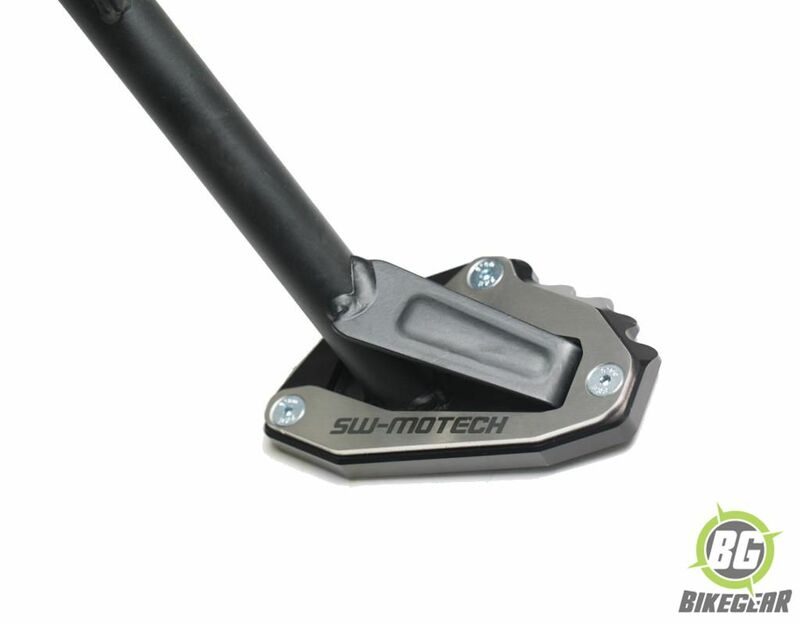 SW-MOTECH Side stand Foot Enlarger increases the surface area of the factory kickstand on the Honda Africa Twin CRF 1000L to enhance stability and minimize sinking on softer terrain when parked. CNC machined aluminium provides a precise fit while a stainless steel retention plate connects the two pieces together with countersunk hardware. The aluminum base-plate also features built in ridges to grip your boot for easy engagement. Park your motorcycle confidently with this sturdy sidestand foot enlarger from SW-MOTECH! Wide CNC machined aluminum base. Secure stainless steel retention plate. Doubles surface area to provide more support. Increased stability on varied terrain. Simple and easy bolt on installation.